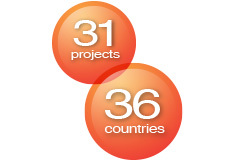 To date, our partners have successfully completed 31 RTM projects over 36 countries worldwide. How sustainable is your business with the current RTM model you operate? What key commercial challenges is your business facing today? What are the potential risks for your business in the next few years? Very often, the traditional Route to Market approach (through wholesale or distributors) is no longer enough or effective to encompass the magnitude of variables present in the current business environment; integrating these variables when analysing and defining a new model or when searching for enhancements to existing modus operandi will lead to measurable competitive advantage. 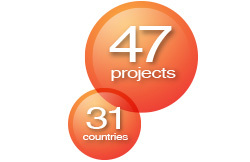 To date, our partners have successfully completed 47 FFO projects over 31 countries worldwide. What are the key Supply Chain challenges causing concerns to most businesses today? Or, when managed effectively, can a fully integrated and streamlined Supply Chain serve as a significant competitive advantage? Due to rapidly changing market dynamics, Supply Chain challenges are surfacing more prominently than ever before; challenges such as: delayed product innovation and development, unfulfilled orders, customer and consumer complaints on quality/out of stock, unaffordable cost increases/inventory levels, complex product portfolio issues, high cost of technologies, slow response to regulation changes etc. These factors have singularly or collectively contributed to the fast erosion of the consumer confidence and competitive positions of many organisations. Or, how can the appropriate focus and design for these individual Supply Chain elements or the Supply Chain as a whole (including manufacturing facilities) help build sustainably successful businesses for the future? In short, the factors driving the traditional supply chain have changed and the role of the supply chain has become much more strategic in nature. 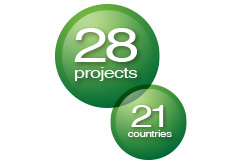 To date, our partners have successfully completed 28 SE initiatives over 21 countries worldwide. How could businesses build on what they already know about customer engagement and expand their engagement to include all stakeholders? How will this help develop more robust Strategies and Plans and secure business sustainability for tomorrow? Very few companies study other stakeholder groups with as much interest as they do consumers and customers. However, currently neglected stakeholders might and will have a say in the company’s future, possibly catching the business unprepared. Stakeholder Engagement is the process by which an organisation involves people who may support or oppose their decisions, be influential in the organisation or within the community in which it operates, hold relevant official positions or be affected by the decisions in the long term. 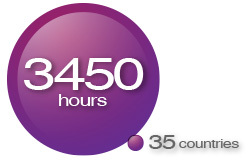 To date, our partners have over 3,450 hours of IC experience 35 countries worldwide. What makes some business leaders successful and others lesser so? How is it that some continue to be able to morph themselves and stay relevant to their stakeholders? How do leaders build and maintain a capacity for effective action in an environment of accelerating change and mounting complexity. All forms of enterprise is experiencing constant change. All have good leaders, good ideas and good intentions. One of the great false assumptions in leadership development is, "if they understand, they will do". If this were true, everyone who understood the importance of a healthy lifestyle would be in shape. Every executive that we meet is smart. In terms of behaviour, all understand what they should do. Sometimes they just can’t. Integral Coaching™ literally integrates new behaviour through a method of reflection and practice. 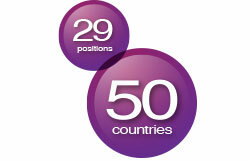 To date, our partners have held or mentored 29 senior/executive positions in 50 different countries worldwide. The C-suite can be a “lonely” place where decisions have to be made and where problems and risks arrive already brainstormed and analysed. It is often difficult for CEOs to find an internal sounding board to bounce off ideas and to think through possible scenarios and alternatives; mainly because the functional structure or the culture of the organisation does not encourage it or does not allow for an open discussion. The belief that the “Number 1 should know it all” is wide-spread across business categories, across the world. However, the destiny of an enterprise should and cannot be determined by a single leader’s vision or thinking. At InReach, the advice and discussion will come from someone who 'has been there', “powered by real-world experience”, someone who faced the same sort of issues and has run complex businesses around the world. A true experienced business mentor. We offer you a partner with whom you can discuss any issues openly, without any limiting conditions and explore and evaluate the options that present themselves.